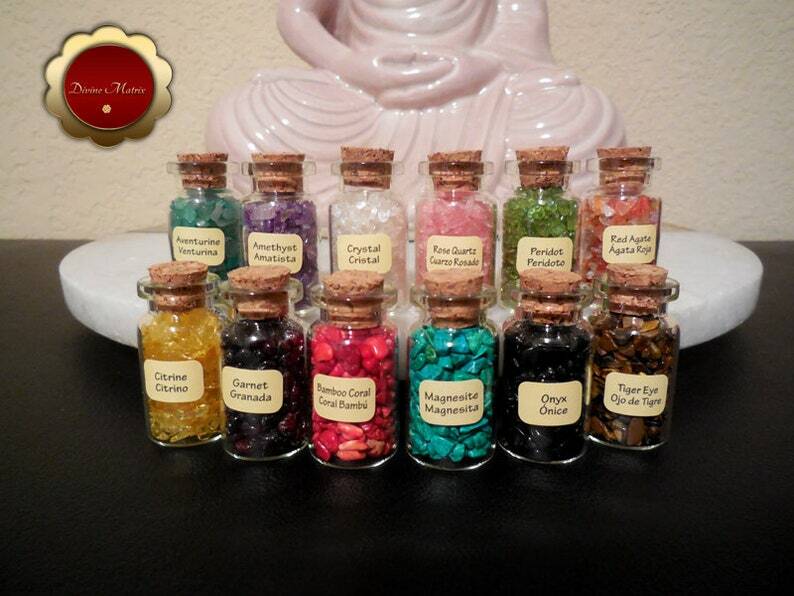 This is for a set of 12 bottles of crystal chips that include (listed below). These are great for grid work, carry on you, mediation, sacred space or for your altar. Each bottle is 0.2 floz (7 ml). Check second picture for size.. on average of 320 small chips in each bottle and from 1 to 5mm in size. Save $5.45 when you buy the complete set.. we refund any shipping overages on multiple sets if any has incurred during your transaction. This is what you will get in a complete set.